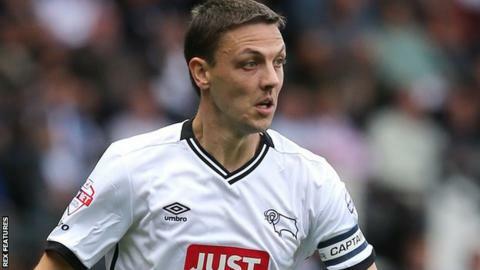 Fulham have re-signed Derby County midfielder Chris Baird on loan until the end of the season. The 33-year-old Northern Ireland international, who can also play in defence, made 165 appearances for the Whites between 2007 and 2013. Baird has featured 16 times since joining the Rams last summer. "When the opportunity arose I had no doubt in my mind that I wanted to come and be part of this again," he told the Fulham website. Baird, who began his career at Southampton, had spells at Reading, Burnley and West Brom after leaving Craven Cottage. He was appointed Derby captain on his arrival at the iPro Stadium, but was stripped of the role following the dismissal of head coach Paul Clement earlier this month. Baird becomes Fulham's fourth loan signing since the appointment of Slavisa Jokanovic as head coach at the end of December.